Data: The tracks measure roughly 4 x 2.5 and 3.25 x 2.25 inches. Judging from the size difference, it appears that both tracks came from two different individuals, rather than a single Trackway. Grallator is an ichnogenus (form taxon based on footprints) which covers a common type of small, three-toed print made by a variety of bipedal theropod dinosaurs. Grallator-type footprints have been found in formations dating from the late Triassic through to the early Cretaceous periods. They are found in the United States, Canada, Europe, Australia and China but are most abundant on the east coast of North America, especially the Triassic and Early Jurassic formations of the northern part of the Newark Supergroup. The name Grallator translates into "stilt walker", although the actual length and form of the trackmaking legs varied by species, usually unidentified. The related term "Grallae" is an ancient name for the presumed group of long-legged wading birds, such as storks and herons. These footprints were given this name by their discoverer, Edward Hitchcock, in 1858. Grallator footprints are characteristically three-toed (tridactyl) and range from 5 to 15 centimeters (or 2 to 6 inches) long. Though the tracks show only three toes, the trackmakers likely had between four and five toes on their feet. While it is usually impossible to match these prints with the exact dinosaur species that left them, it is sometimes possible to narrow down potential trackmakers by comparing the proportions in individual Grallator ichnospecies with known dinosaurs of the same formation. For example, Grallator tracks identified from the Yixian Formation may have been left by Caudipteryx. 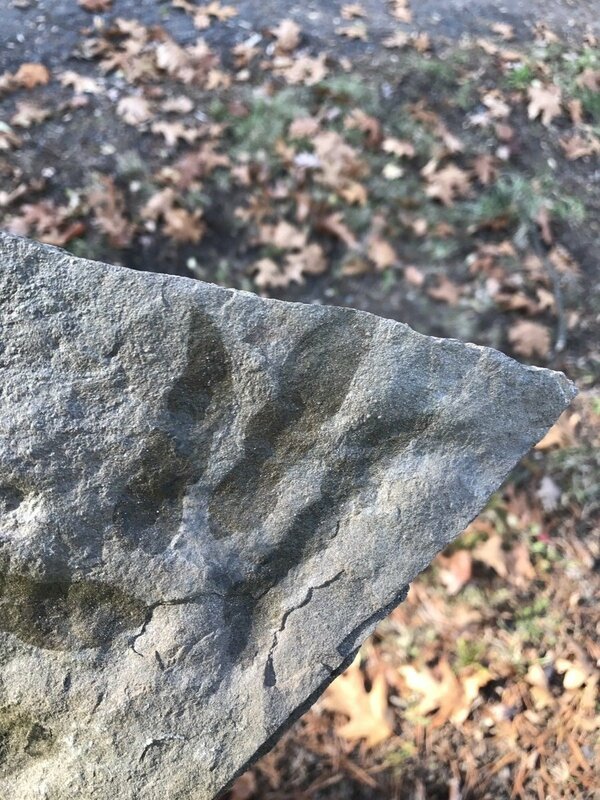 These footprints were likely made by an unidentified, primitive dinosaur similar to Coelophysis.